Honduras is the second largest country in South America, and it is ideal as a vacation destination. It has a lot of attractions, and you cannot get bored. The colonial villages are fascinating to some people, but you also have the option of visiting the Maya ruins in Copan. The natural parks do not disappoint either, and let’s not forget that Honduras has both Caribbean and Pacific coastlines. When you are not exploring the country, you can shut yourself away on a beach or inside a resort and just relax. The food is excellent, and the people are welcoming. It is impossible not to have a lovely vacation in Honduras. But before you start packing your bags, you need to check whether or not you need a visa to enter Honduras. Lucky for you, according to Honduras’s visa policy, 84 countries and jurisdictions are visa-exempt, which means their citizens can enter Honduras without a visa and stay there for up to 90 days. You may find yourself among them. The rest of the nationalities need a visa to enter the country, and they need to pay a visit to the nearest diplomatic mission of Honduras. If you want to know which category you are in, you have two options. The first one would be for you to take a look at Honduras’s visa policy. However, the second options may be more suitable, and that is to use iVisa’s Visa Checker. The information you need is just a few clicks away. 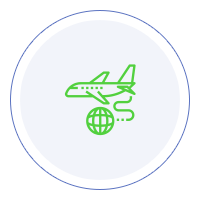 You access the tool, insert your nationality and put Honduras as your destination. The tool will provide a list of the nearest embassies that you can go to and apply for your visa in case you must obtain a visa before departure. At the moment, iVisa does not process visa applications for Honduras. The government has not adopted the electronic visa yet. But even so, we still want to help by providing the information you need. Our support service is at your disposal 24/7, and it does not cost you anything to use it. If you find out that you need a visa to travel to Honduras, you must make inquiries about the requirements. You may be able to do that online, but we advise you to you call the issuing authority itself. It is the most reliable source of information. Websites are not always brought up to date, and that can lead to errors. Just give them a call, and you will find out what you need to know. Nevertheless, what we can tell you is that you need a passport that remains valid for at least another 3 months from the date of arrival in Honduras. For further information, contact the nearest diplomatic mission of Honduras. Unfortunately, that is pretty much all that we can provide at the moment. Electronic visas are not available at the moment, but as soon as that happens, we will be able to do more for you. Until then, we hope that you have a hassle-free visa application process at the embassy.